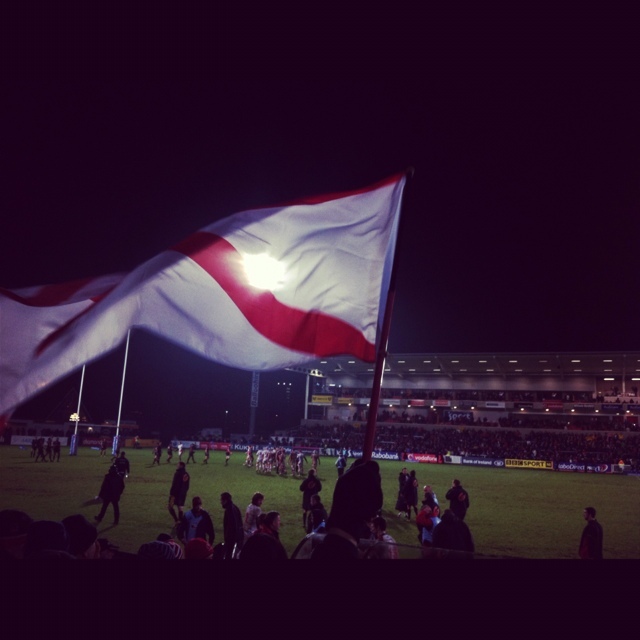 SUFTUM. 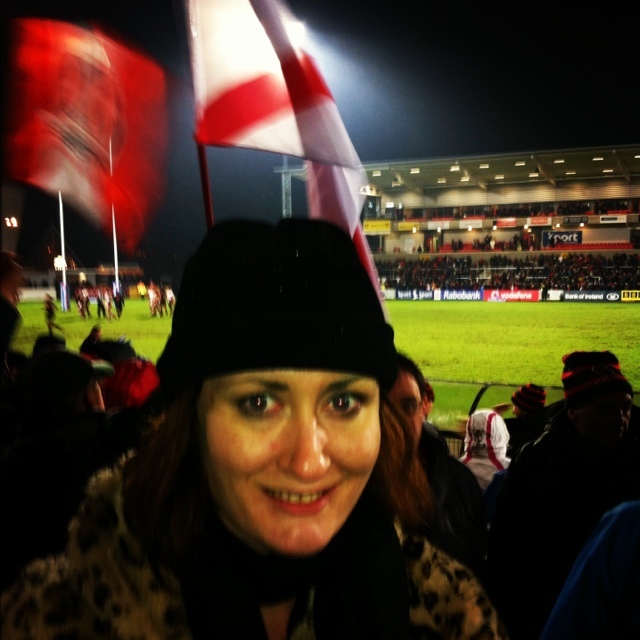 There’s something quite ironic about the fact that just a few hours ago, I embarrassingly asked on twitter what this acronym meant and then found myself, quite literally, Standing Up For The Ulstermen for my first experience of Ulster Rugby. My second experience of life as a sports fan was very different to my first. 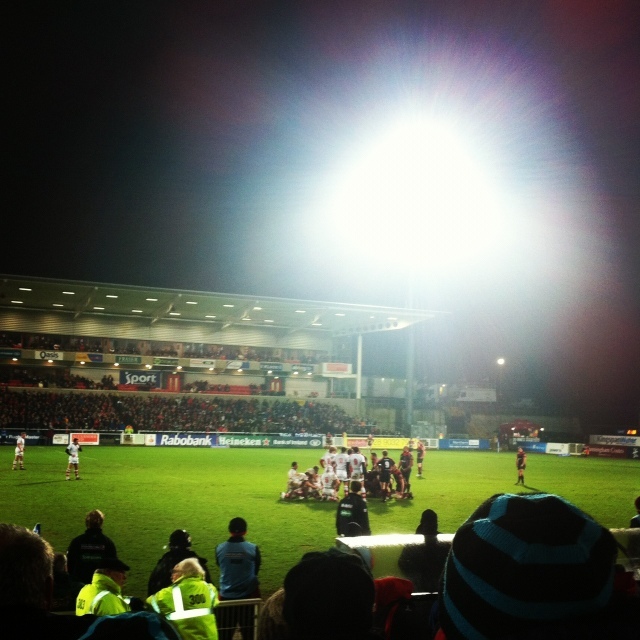 Ravenhill is a million miles away from The Oval and it’s fair to say the mood was somewhat brighter, though given Ulster’s 30-12 victory over Newport Gwent Dragons, that’s hardly surprising. I’ll be honest though, I was completely lost trying to follow the game and figure out what was happening. But alas, I soon got into the crowd mentality & booed and cheered in unison with the throngs. Thankfully there was more cheering than booing though this time round. What was missing was my expert fan sidekick, a la Rigsy at Glentoran. With all the will in the world, my friends and I, as complete novices, were simply dipping our toes in to the Ulster supporters camp. Four of our party of seven retired to the bar at half time and weren’t seen again until the end (they didn’t even watch the match on the TV, tut tut). I stayed, with two of the girls and braved the rain to continue to SUFTUM. And I’m glad I did. There wasn’t quite the same banter amongst the crowd as there was with The Glens – it was a very civilised affair – but the fans’ passion was evident all the same. There was also the added bonus that the food was edible this time round. A friend has said I was Ulster’s lucky mascot tonight and another has challenged me to actually BE the mascot at a future game… What do you reckon? Perhaps I could be a lucky leopard – I am sponsored by leopard print, after all. 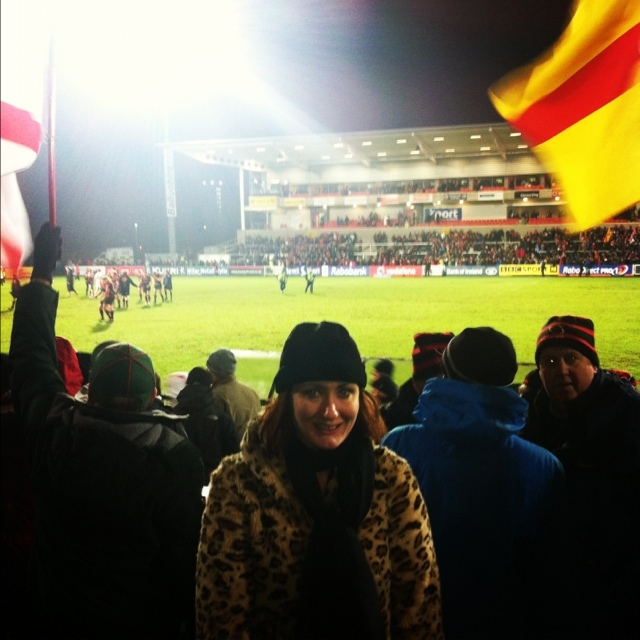 (And yes, I did wear a leopard print fur coat to a rugby match). Don’t get me wrong, I didn’t dislike it – just think I’d enjoy it more if I were with a group of fans that are really into it/can explain what’s going on!